Lemon sharks, Negaprion brevirostris, in the Bahamas. This footage was taken during a large gathering of sharks at night. 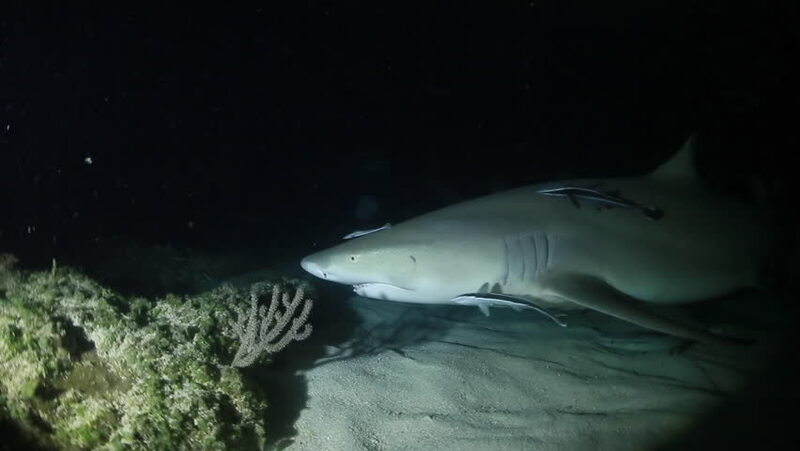 A Caribbean Reef shark can also be seen in the background. hd00:32Many fish are swimming in the water in the fish tank. hd00:22Muraena in the family Muraenidae. Beautifully decorated Marine Aquarium.